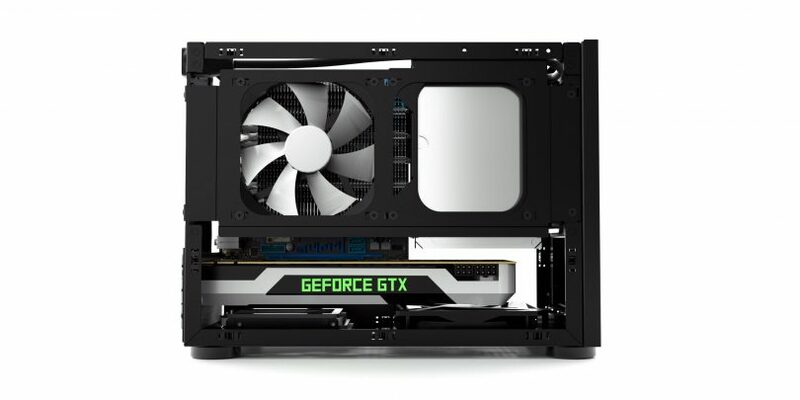 The NCase, known by many as the quintessential “indie” SFF case, brought huge changes to our niche, and broadened many horizons in the community, from creators, to builders, to designers. 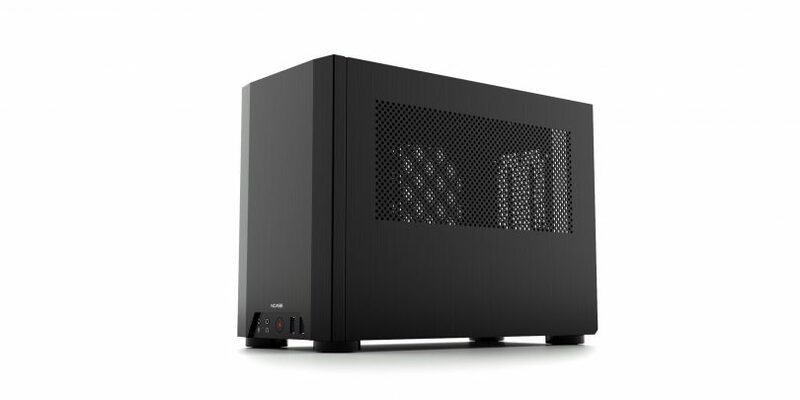 Necere is one half of NCase, responsible for the design of the M1 and various accessories to go with the chassis. Today we’ll be talking SFF with Necere, seeing what inspired and motivated one of the most well known creators in our community. This is the fourth in a series of “Meet the Creators”, a series of interviews with the designers and manufacturers active in our community. Our community helps foster the growth of the SFF world. Join our community today to chat alongside the masters. Let’s go! SFFn: What drove you to develop the M1? N: The lack of attractive and actually small SFF cases. 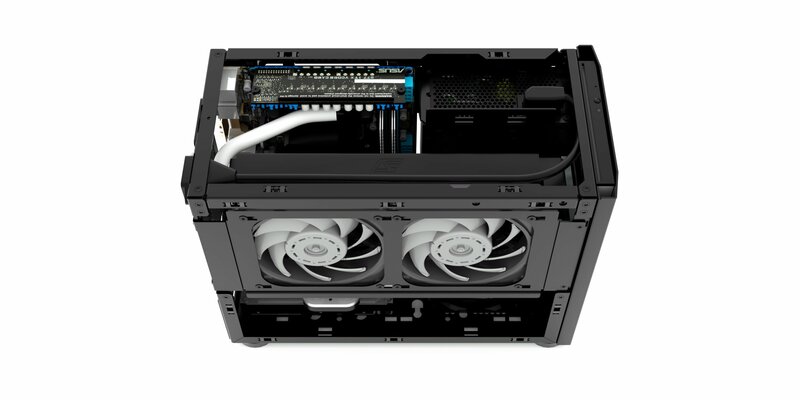 For a long time, Silverstone was the only real game in town if you were after a truly compact, enthusiast-grade DIY SFF system built from off the shelf parts. Aesthetically though, the squat, “shoebox” proportions and homely exteriors weren’t my cup of tea. I had been designing cases for fun for years, but had never attempted building my own. Secretly it was a dream of mine to one day have my designs produced, but I never had the drive or fortitude for the business side of things. So when Dan (wahaha360) showed up on hardforum in late 2012 with a proposal to crowdfund a premium aluminum version of Silverstone’s SG05, I jumped on the chance to engage him with some of my design ideas. Over the next few weeks, with the help of the forum, we iterated through a number of different concepts before finally settling on what would become the M1. The rest, as they say, is history. SFFn: The M1 is one of the cornerstone Indie SFF cases – do you think your project helped open other creator’s eyes to the possibility of producing their own cases? N: Most definitely. There were a few small indie case makers before us – Lan Gear comes to mind, as well as NFC I believe – but none that had really taken off in a major way. I think our highly visible success – via our original crowdfunding campaign and subsequent publicity – has really paved the way for others to follow in our footsteps. Now in late 2017, five years after the conception of the M1, we’ve seen the success of a number of other indie cases. It’s an amazing thing to see how we’ve helped to change the industry. Attractive, high quality SFF cases were virtually nonexistent five years ago, but now with cases like the M1, DAN A4, S4 Mini, Zaber Sentry, and soon-to-be cases like the Louqe Ghost S1, there are more choices than ever. N: A new revision is certainly a possibility, though the only likely changes are minor fixes/improvements. Stuff like making a removable GPU retention tab, so if the threads get stripped out it’s much cheaper and simpler to send out a replacement. Alternative colors is something we’ve discussed in the past, though we don’t have any specific plans for it at the moment. In general, I don’t think chromatic colors suit the M1 that well, so if we do another color option it may just be something like a gunmetal gray. SFFn: What brought you to the world of SFF? N: Way back around the turn of the century, a few of my friends were into LAN parties. One of these friends was also into water cooling and case modding, and was using CAD software to design his own small-ish LAN case. He never did end up building it, but it did get me interested in trying my hand at it. So I started using the same CAD software he used (Rhino), gradually learning the ins and outs of the program. I looked up the ATX specifications, and built CAD models based on them. I experimented with compact layouts using 1U server power supplies and video cards mounted on AGP risers (yes, AGP – this was early 2000s, remember). Back in those days, Shuttle was the name of the game if you were into SFF, and I used to lurk at Sudhian.com (now defunct), one of the few SFF-focused forums at the time. In 2003, I showed some of my concept designs there, which you can still find. I kept at it over the years, off and on, CADing something whenever I had a new idea, but never tried building anything. I’m more visual/conceptual, and less hands-on, and it was the ideas that excited me more than anything. The actual making of the thing less so (though to be sure, having a tangible product at the end is satisfying). A side effect of that focus on the conceptual/design side is that I didn’t spend much time trying to work out or understand how, exactly, things could or should be made. That’s important if you actually want to physically make something, but since that was never an immediate goal of mine, I never really focused on it. Around 2009, I became aware of the Sketchup model sharing community, which had a lot of PC parts that would come in handy for visualizing my designs, so I made the switch away from Rhino to Sketchup. I also liked the clean, shaded and textured graphical style Sketchup uses for the workspace, vs. the wireframe views used in Rhino. In 2010, I participated in a case design contest sponsored by Phobya and run by bit-tech.net. (Editor’s note: So did I!) Although it wasn’t SFF-related, and I didn’t win (I withdrew before the final round), overall it was a worthwhile learning experience. Fast-forward to late 2012, I meet w360 on HardForum, and while it’s a long shot and I certainly didn’t expect much, I realize I had an opportunity to finally make one of my designs a reality. At that point, I had to fairly quickly learn how cases were actually made in order to be able to pull it off. The first design we came up with was a non-starter: we submitted it to Lian Li, and they told us it would need to be significantly redesigned. So I took a step back, went back to the drawing board, and spent some time studying how Lian Li’s cases were built. Using those observations as a starting point, I eventually came up with a design that satisfied both my aesthetic sensibilities and the requirements of manufacturing. That design, of course, was the M1. This was a bit more than “what got me into SFF,” but perhaps some will find it interesting. SFFn: Do you think SFFLab will bring the SFF world to the next level of feasibility and popularity? N: I think it has the real potential to broaden the accessibility of indie SFF cases. One obstacle for tiny independent case makers is minimum order quantity requirements (MOQs), since we tend to deal in such low volumes. 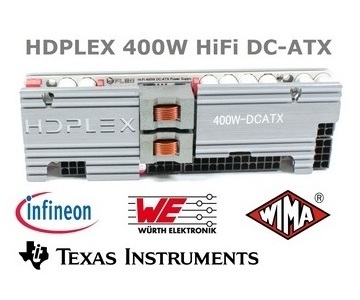 Banding together under the banner of SFFLab will give indie case makers more leverage with manufacturers by pooling together orders for common things like power cables, front I/O, and power switches, and connecting them with manufacturers and suppliers. It also has the potential to lower shipping rates – another major obstacle to getting more competitive pricing for end users. Hopefully, in time, we’ll see lower prices and better availability of indie cases, through the efforts of the SFFLab project. SFFn: Thankyou for joining us! 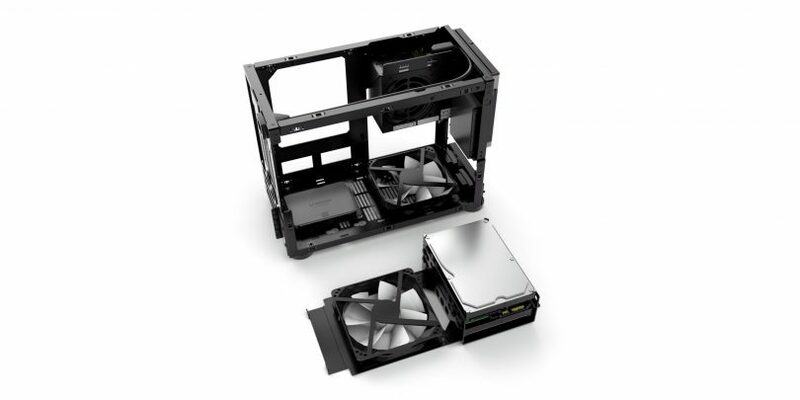 Check out the NCase website, NCase on SFFLab as well as the NCase subforum on our very own community forum. Discuss this interview here!